For more than five years, there has been increasing calls for the division of Nimba County. The county has been the subject of intense power struggle (bickering, squabbling), since the end of the 2017 Presidential and General elections. The campaign for the division of the county has been allegedly masterminded by some influential people (politicians) in the county. The situation has since created mixed views among Nimbians with the latest coming from Representative Roger S.W. Domah of electoral District # 7 Nimba County. 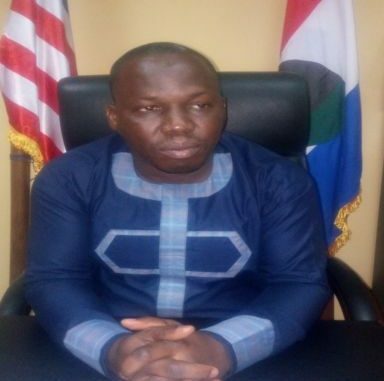 Speaking to a team of Legislative Reporters on Thursday, August 16, 2018 at his Capitol Building Office, Representative Domah said, those calling for Nimba to be divided do not mean well for the county and are only fronting for personal interest. “I don’t think there is a particular sector that is calling for the division of Nimba County; the call is being made from a certain number of people who is not from a specific tribe. People who feel that there are conditions they are not satisfied with, think that their only way out is to divide Nimba County; which is totally wrong,” he intoned. According to Representative Domah, since 2011, he has repeatedly been quizzed about the situation but has since remained tightlipped on the matter. He said, as a member of the Legislature who represents his constituency at the level of the House of Representatives, he has successfully gathered the views of his people which now represent his official position. “During our just-ended 26 vacation, we had the opportunity to meet our people on this matter. Our first meeting was in Bahn City where the people overly rejected the idea of dividing the county. The second was in Saclapea where the citizens turned out and also rejected the concept of the division of Nimba County. So the position of District # 7 is for Nimba County to remain united so that everyone can coexist,” Representative Domah accentuated.